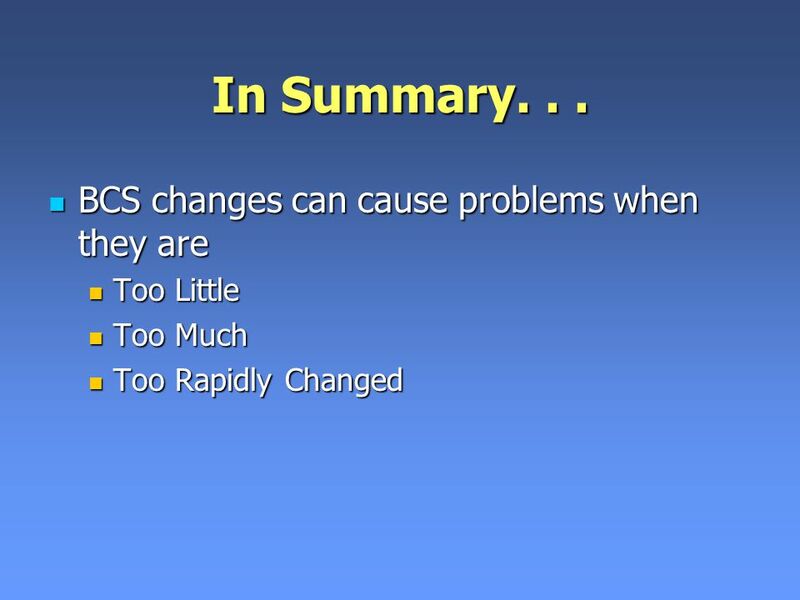 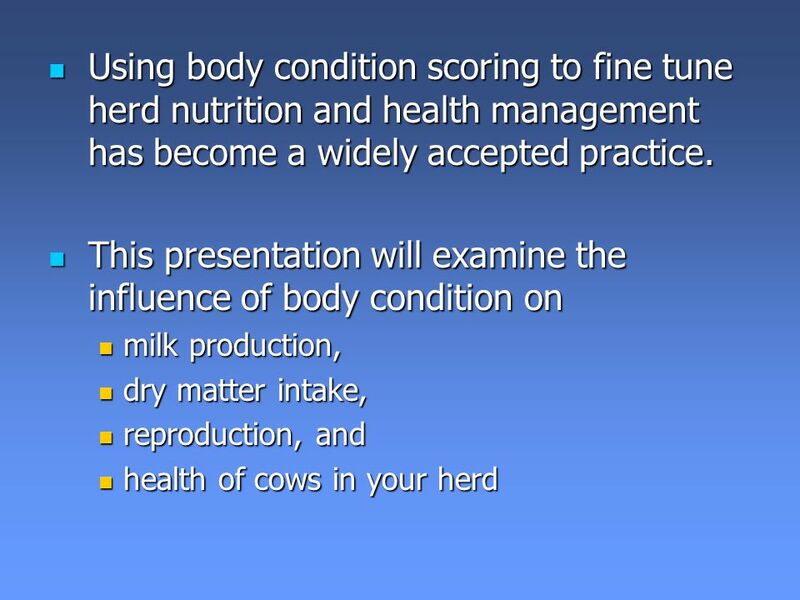 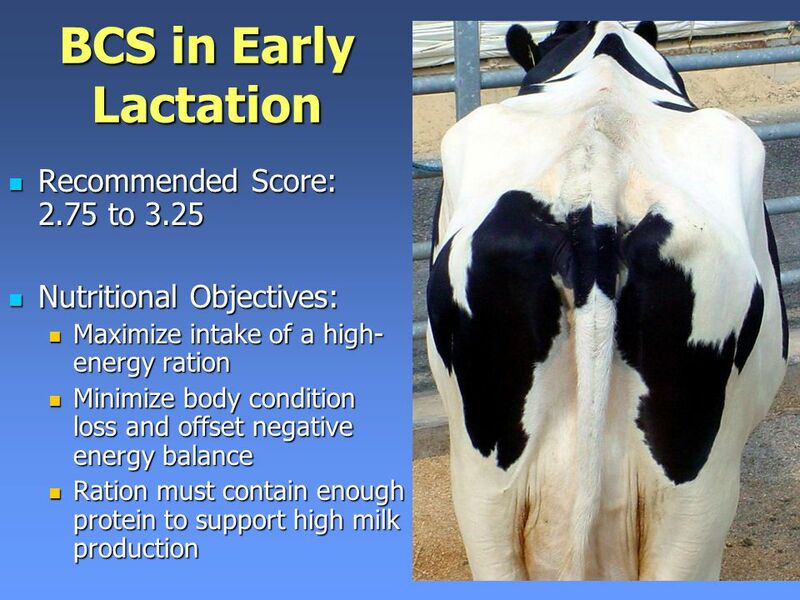 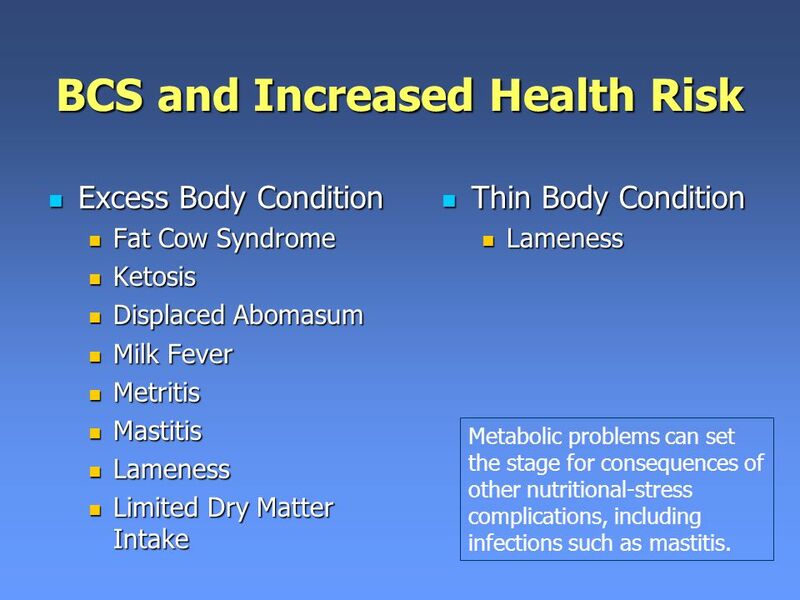 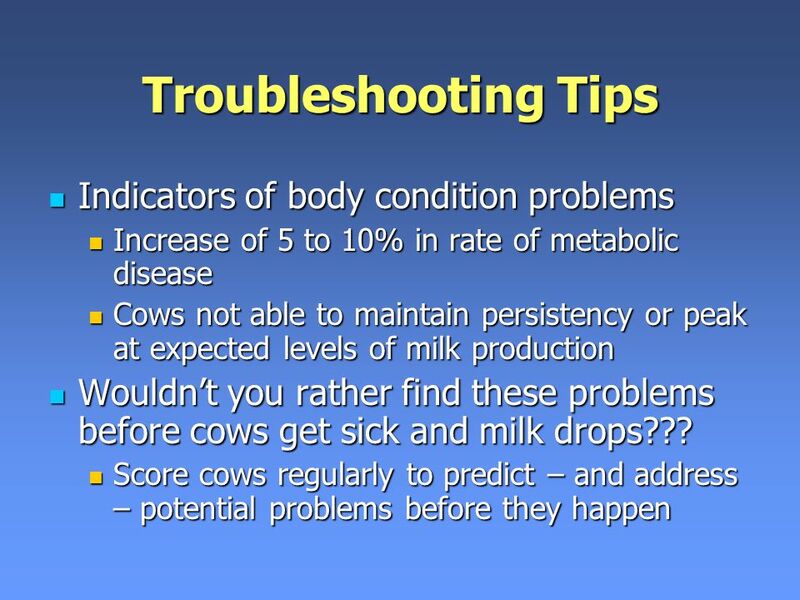 Excess Body Condition Fat Cow Syndrome Ketosis Displaced Abomasum Milk Fever Metritis Mastitis Lameness Limited Dry Matter Intake Thin Body Condition Lameness Metabolic problems can set the stage for consequences of other nutritional-stress complications, including infections such as mastitis. 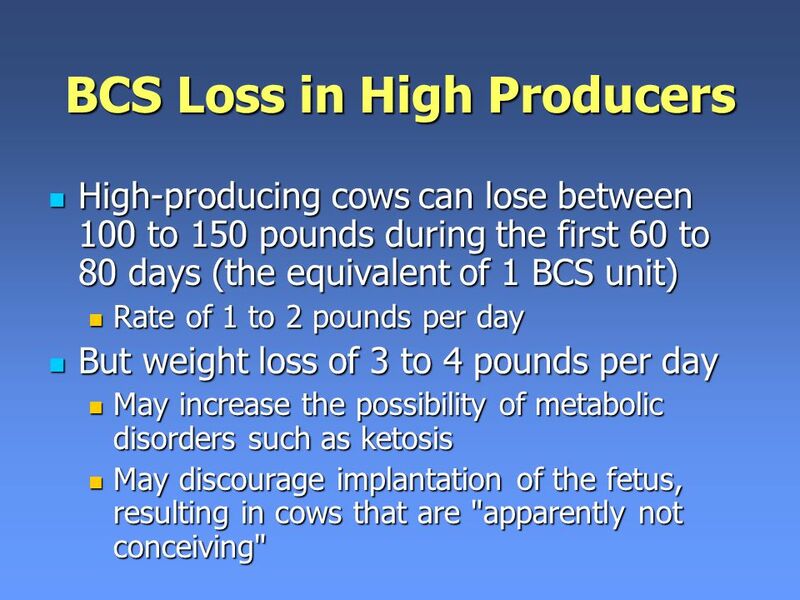 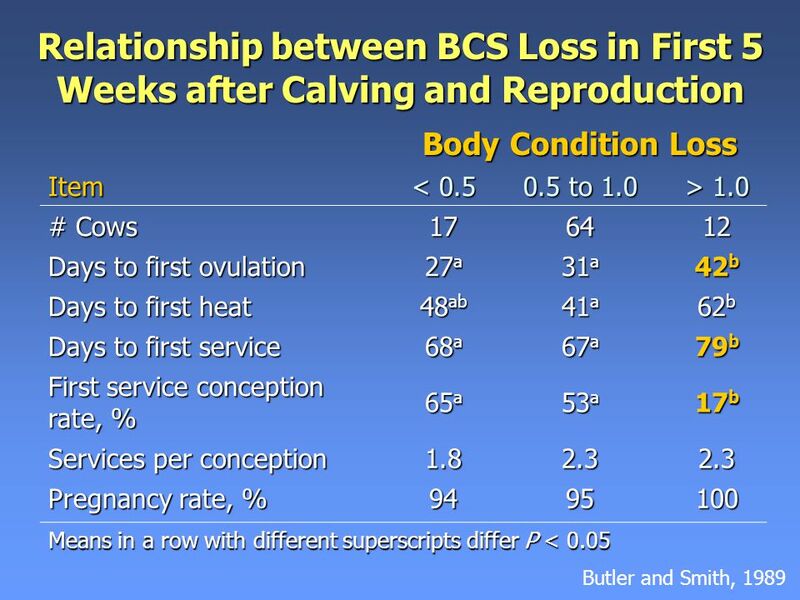 High-producing cows can lose between 100 to 150 pounds during the first 60 to 80 days (the equivalent of 1 BCS unit) Rate of 1 to 2 pounds per day But weight loss of 3 to 4 pounds per day May increase the possibility of metabolic disorders such as ketosis May discourage implantation of the fetus, resulting in cows that are "apparently not conceiving"
Download ppt "Effects of Body Condition on Performance"
Reproduction on the Ranch Clay Lents 1, Kraig Peel 2, George Seidel Jr. 1,and Gordon Niswender 1 Colorado State University 1 Animal Reproduction and Biotechnology. 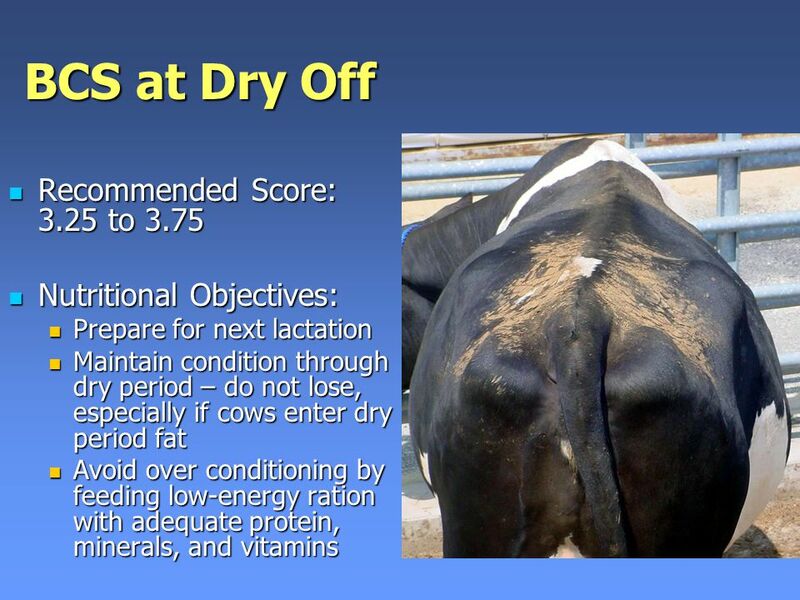 Supplies needed Water bucket Feed pan Feed Proper Facilities. 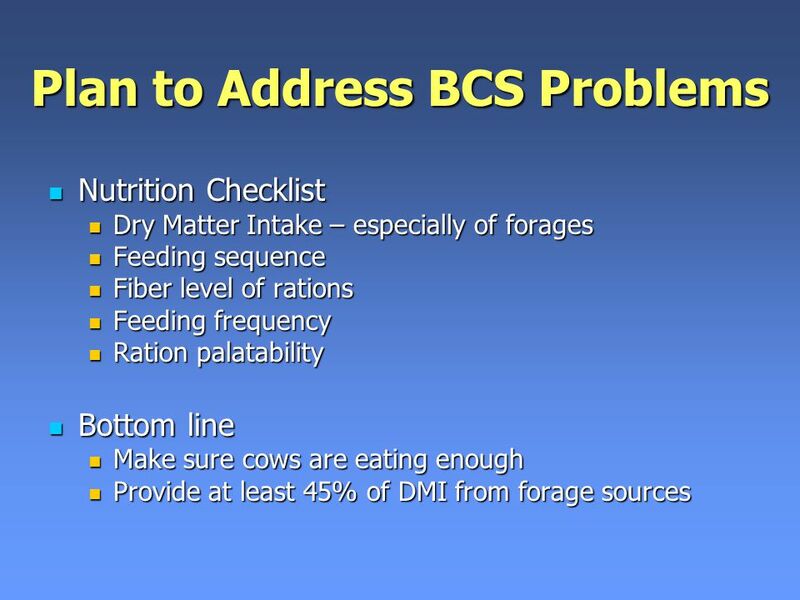 Feeding the Dairy Cow. 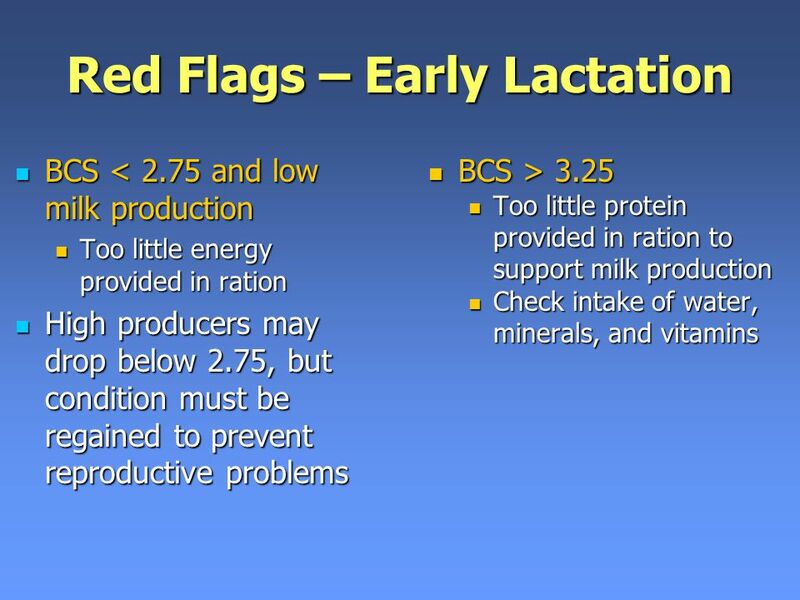 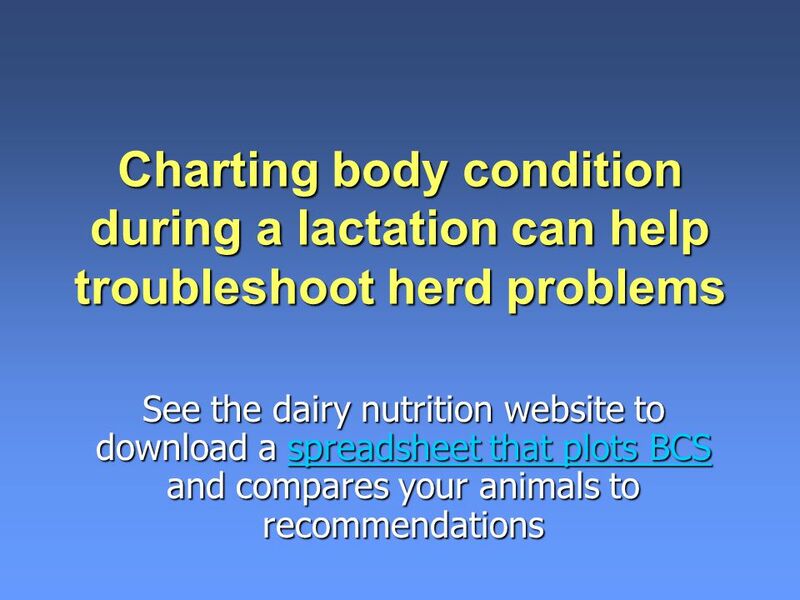 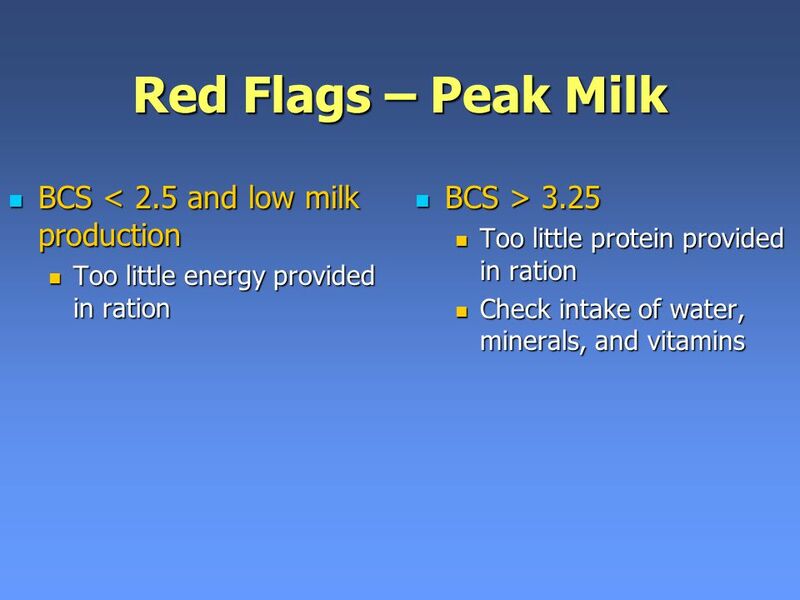 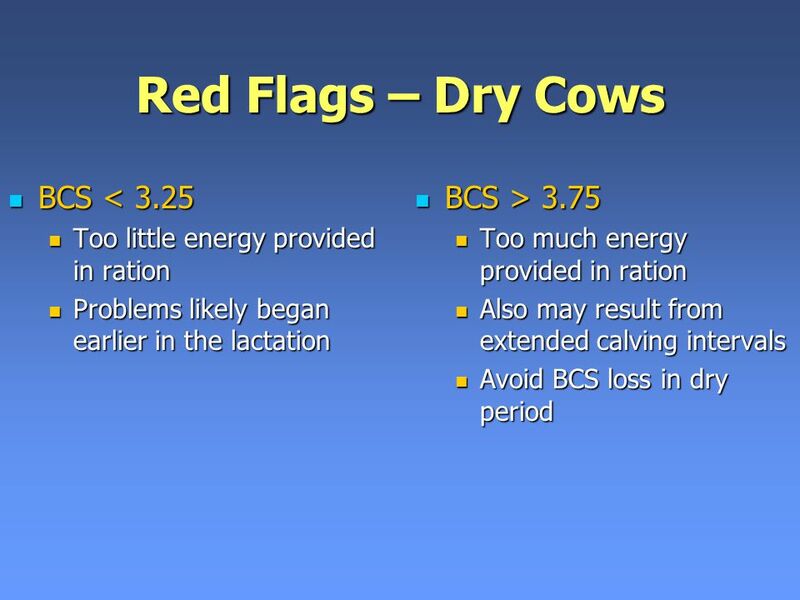 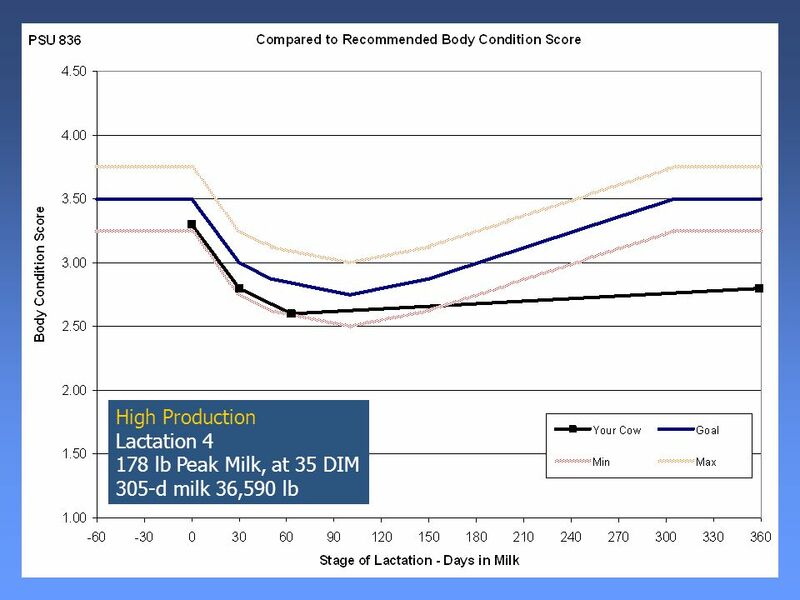 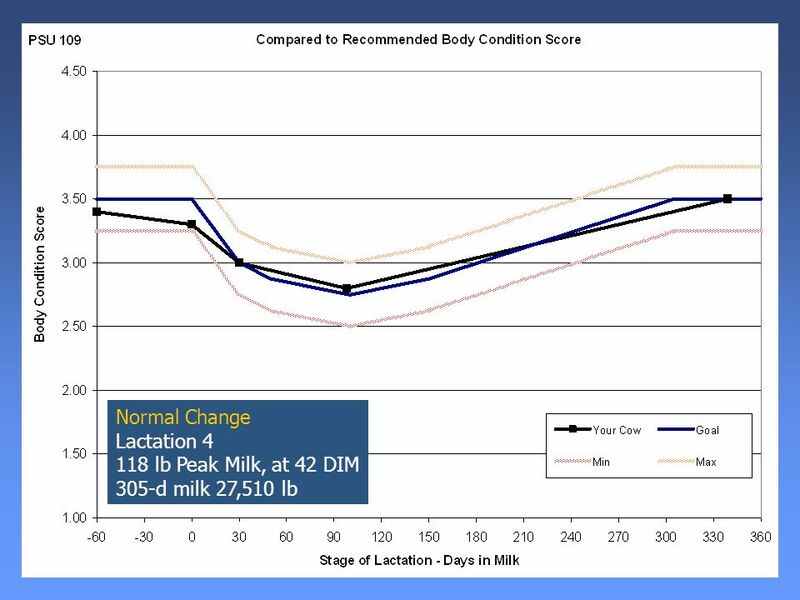 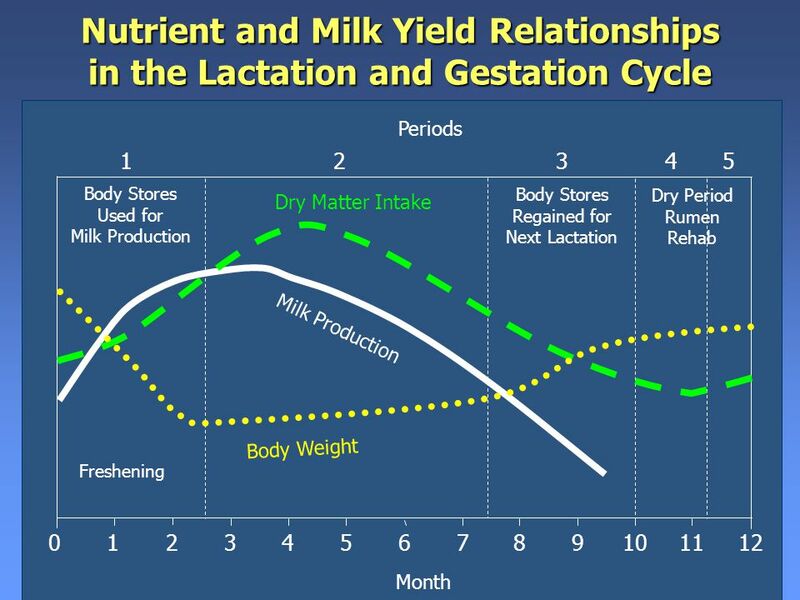 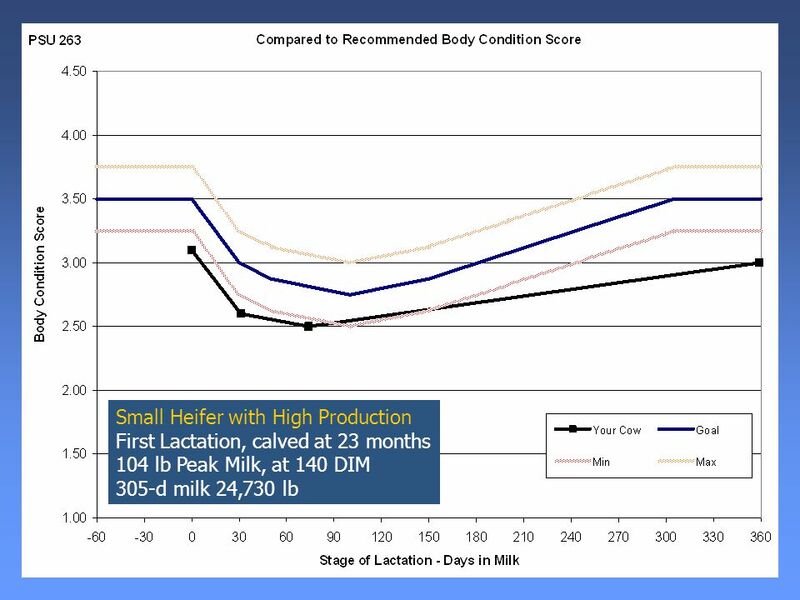 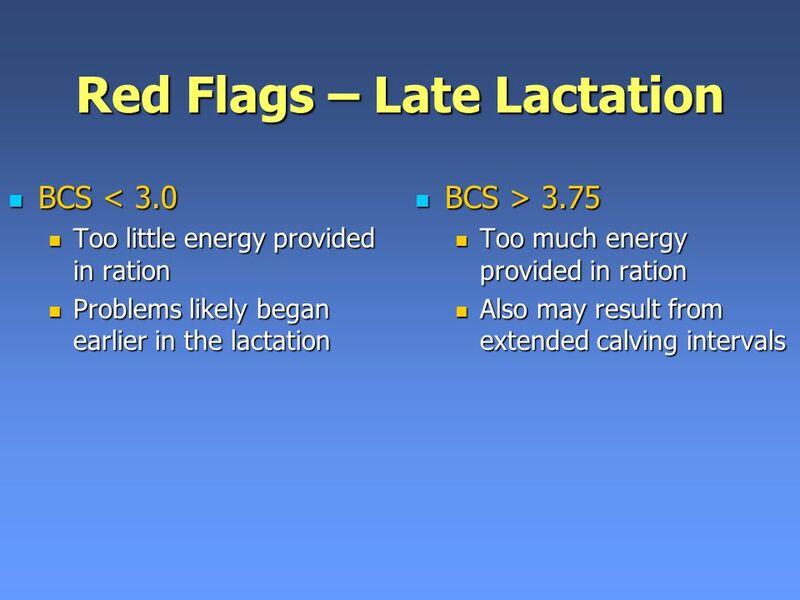 Feeding the Dairy Cow Have to Understand the Lactation Curve. 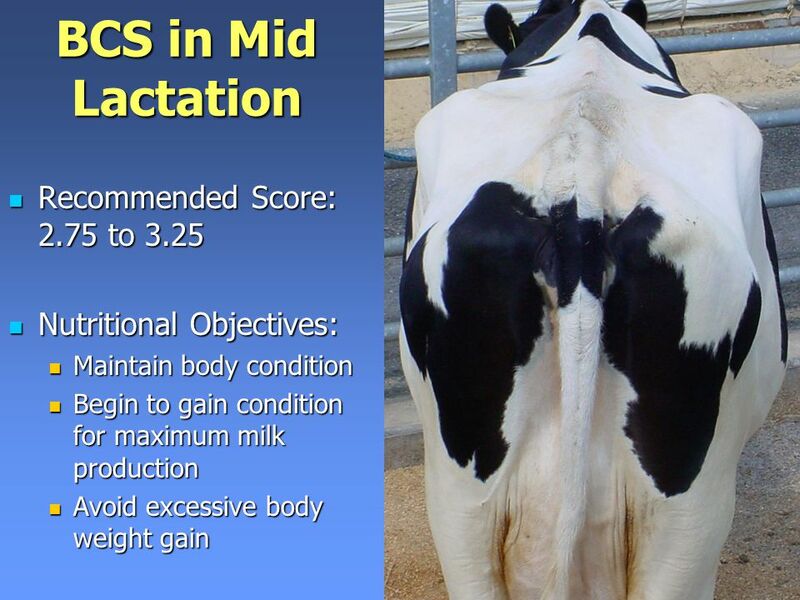 The Four Season Company 4 Season is a dedicated animal nutrition company, specialising in the manufacturing of high quality products for the Australian. 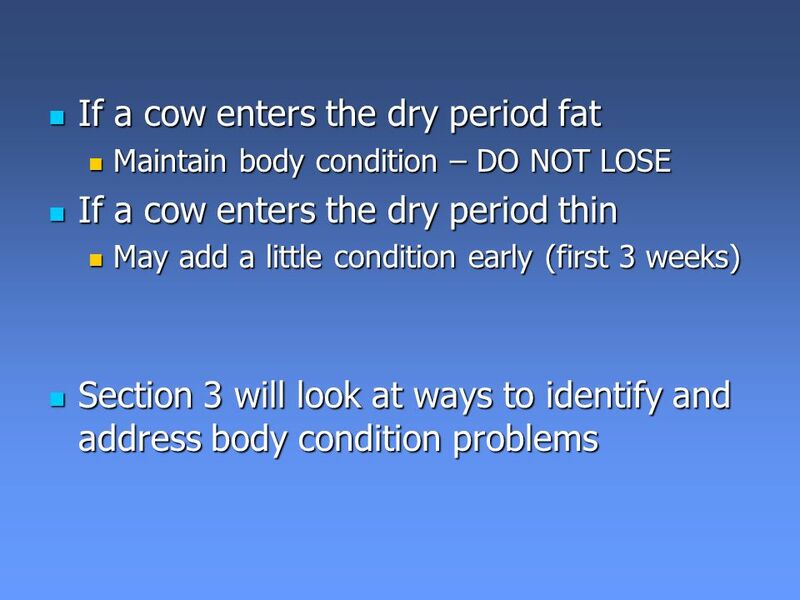 Pregnant Mare Management. 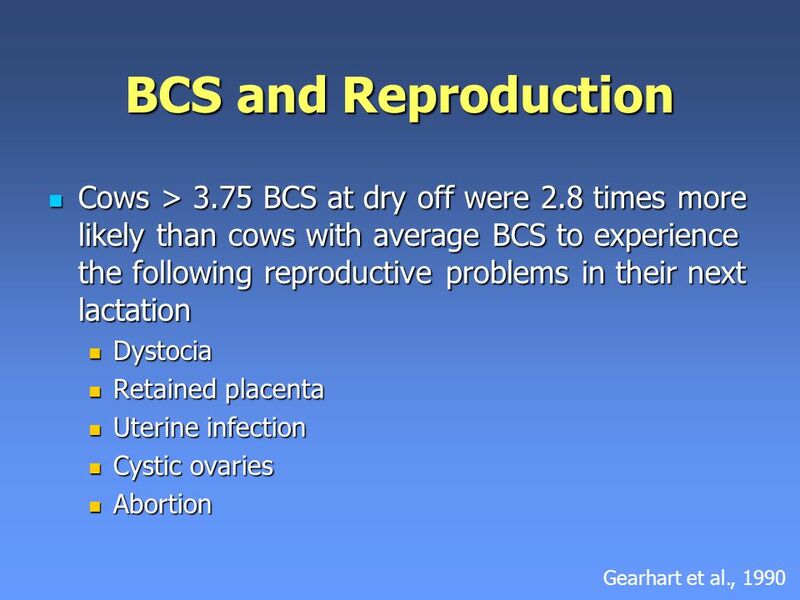 Proper mare management is essential: To ensure the birth of a live foal Mare classifications: Pregnant Open Barren Maiden Wet. 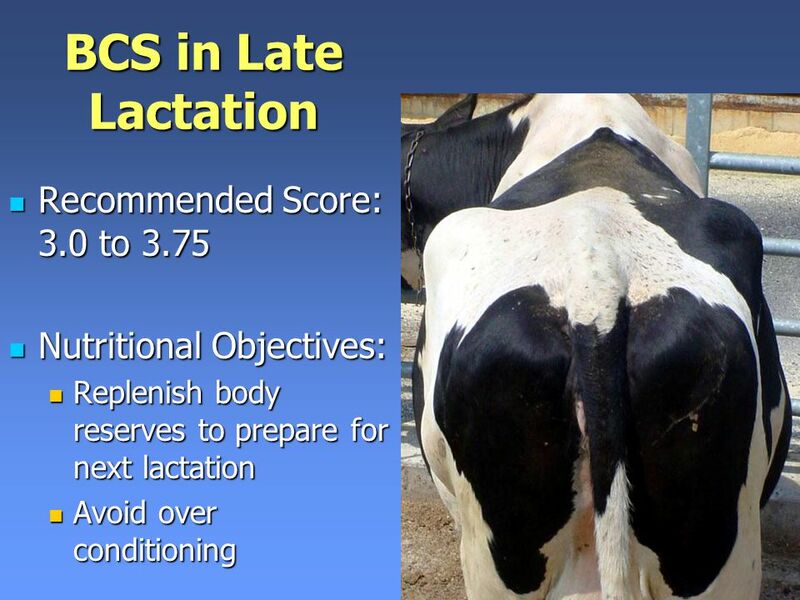 CPT David J. Licciardello, DVM Veterinary Advisor. 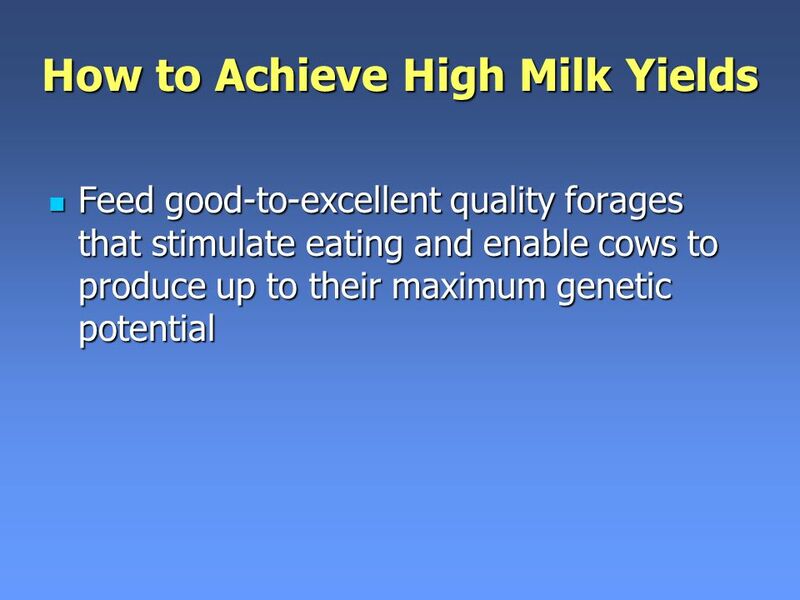 Level II Agricultural Business Operations. 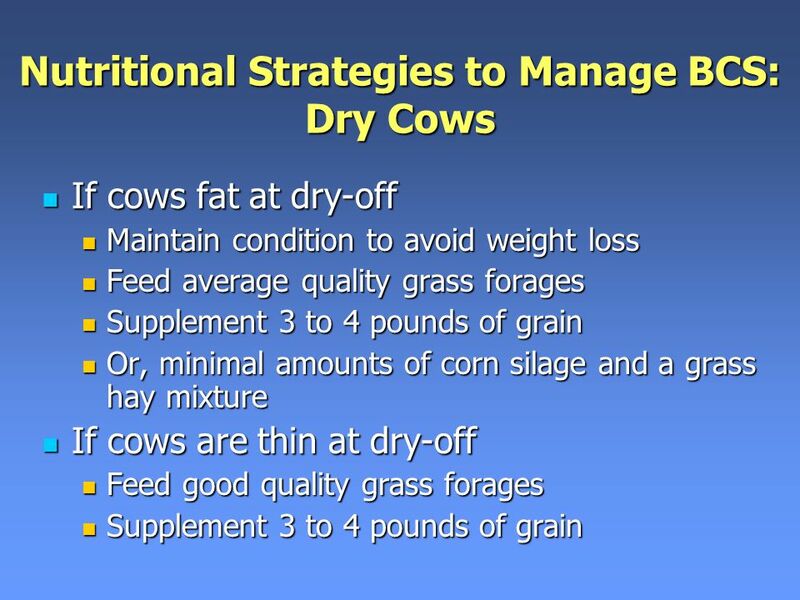  Nutrient content of feed  Nutritional requirements  Analyse forage quality  Winter feeding plan. 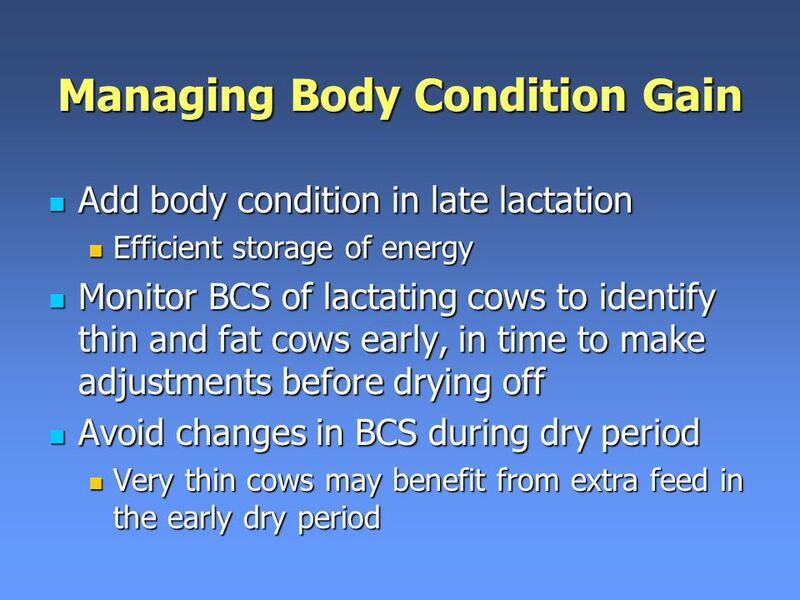 Carbohydrates in Dairy Nutrition L.E. 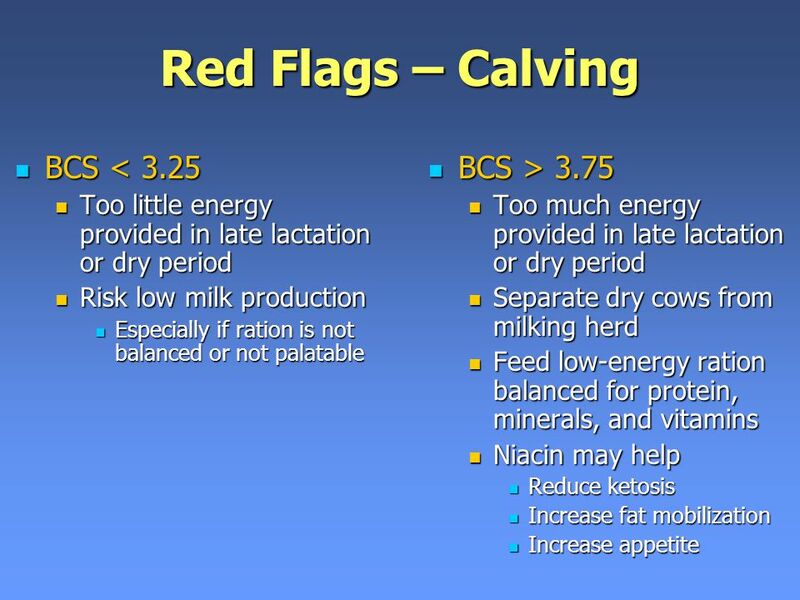 Chase and T.R. 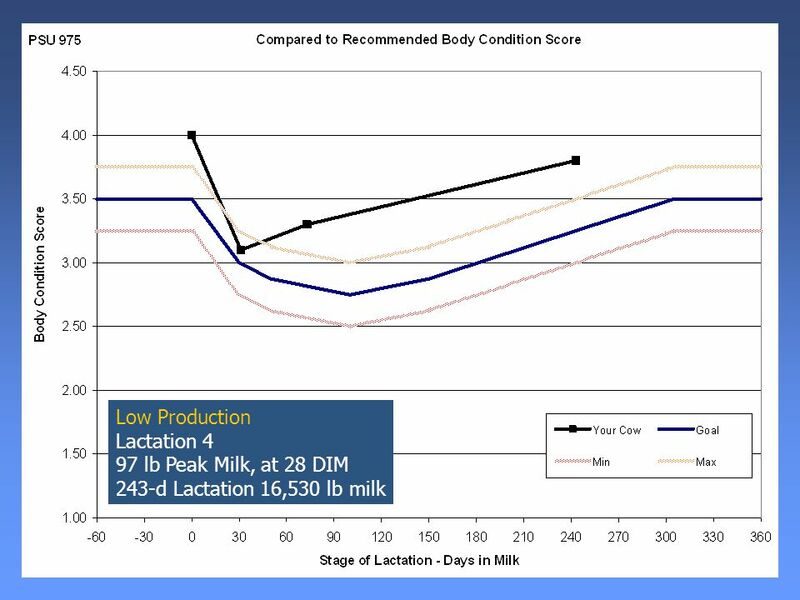 Overton Dept. 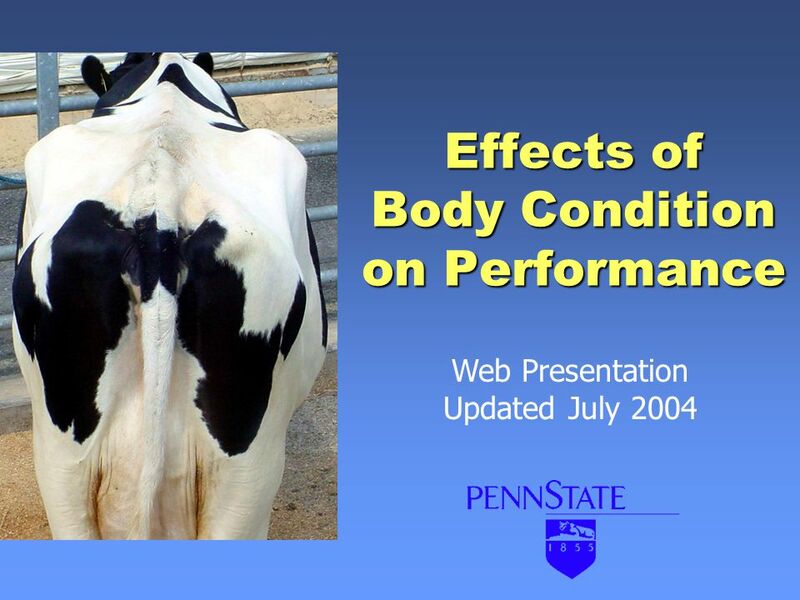 of Animal Science Cornell University. 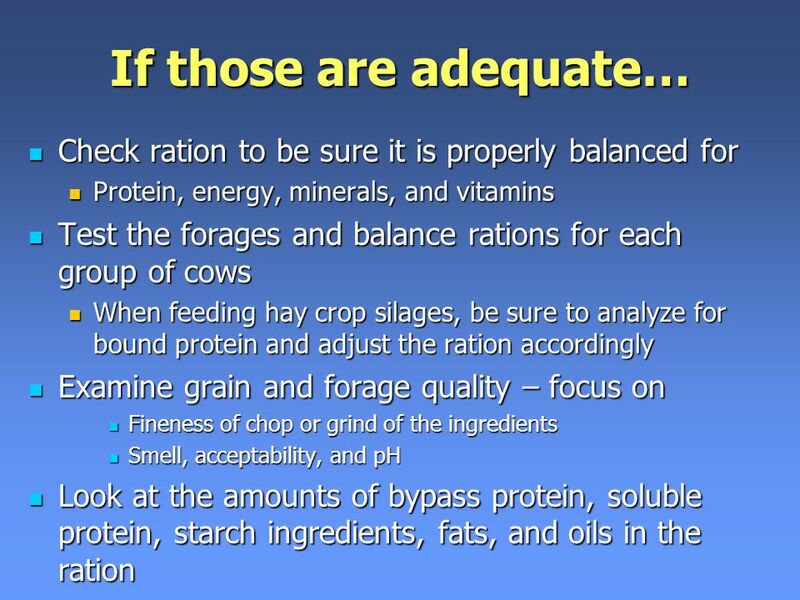 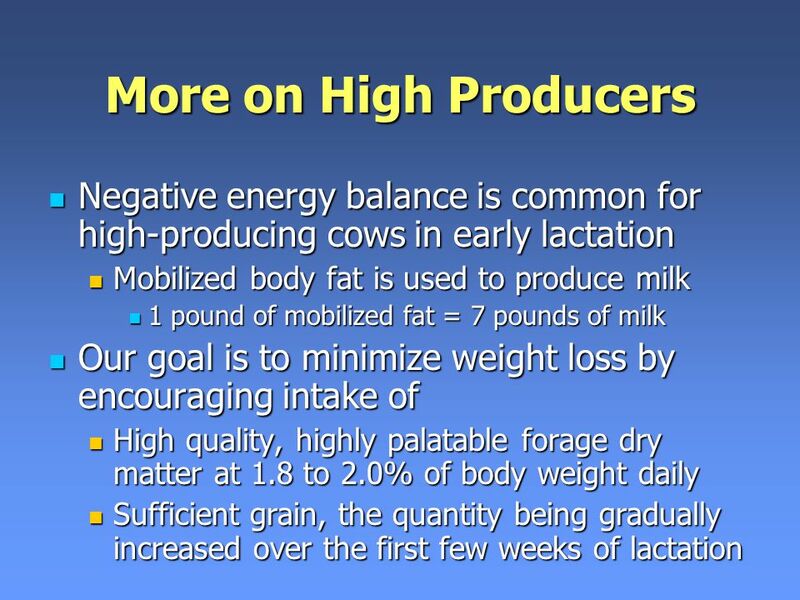 The Jaylor Advantage Dr. Alan S. Vaage Ph.D. Ruminant Nutritionist. 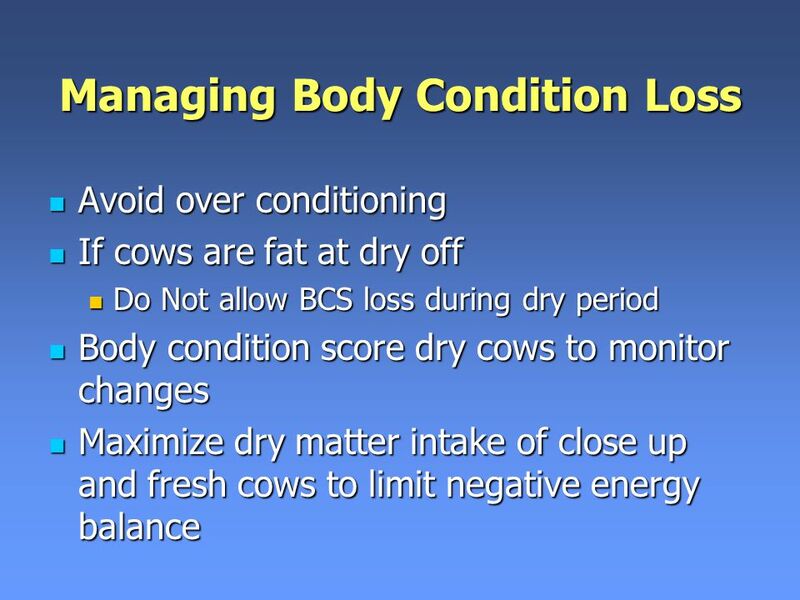 Dairy Herd Management. 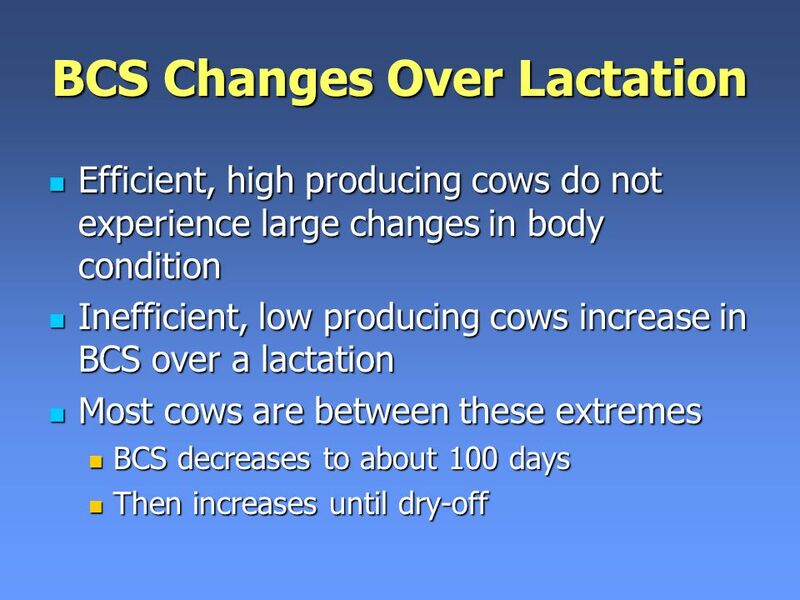 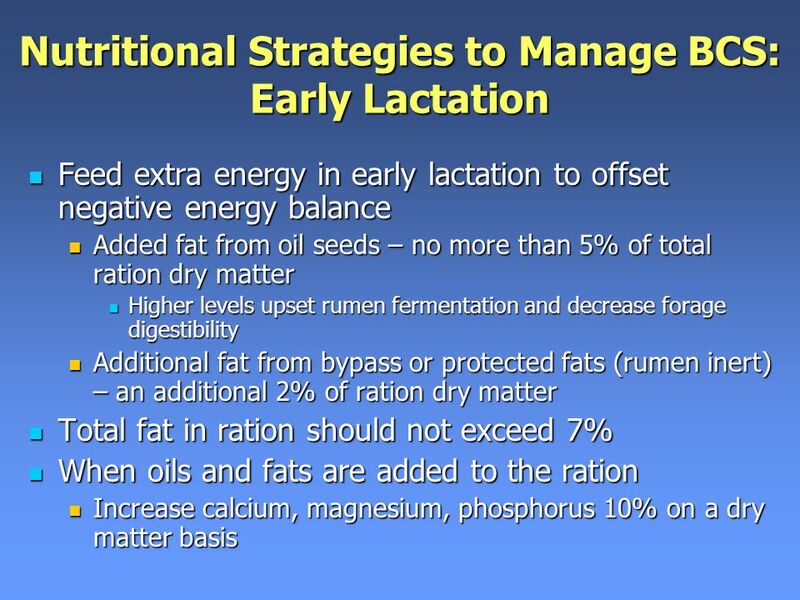 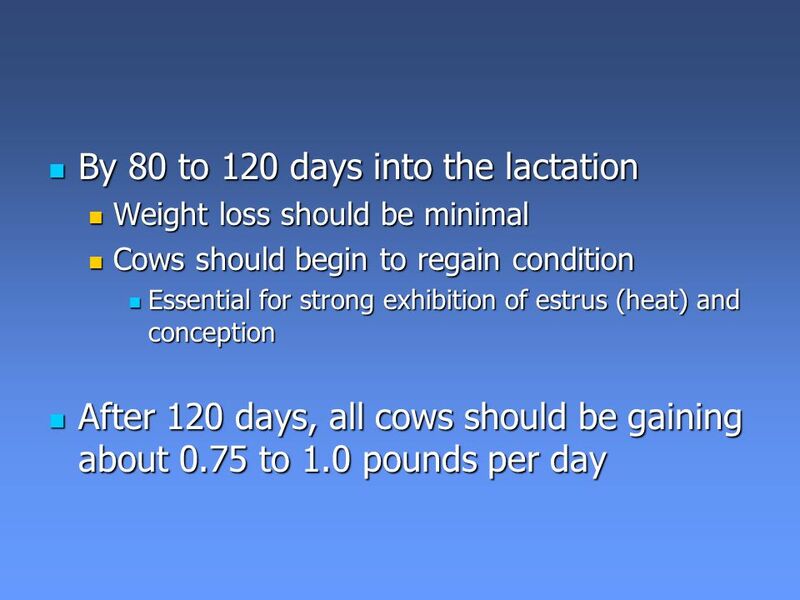 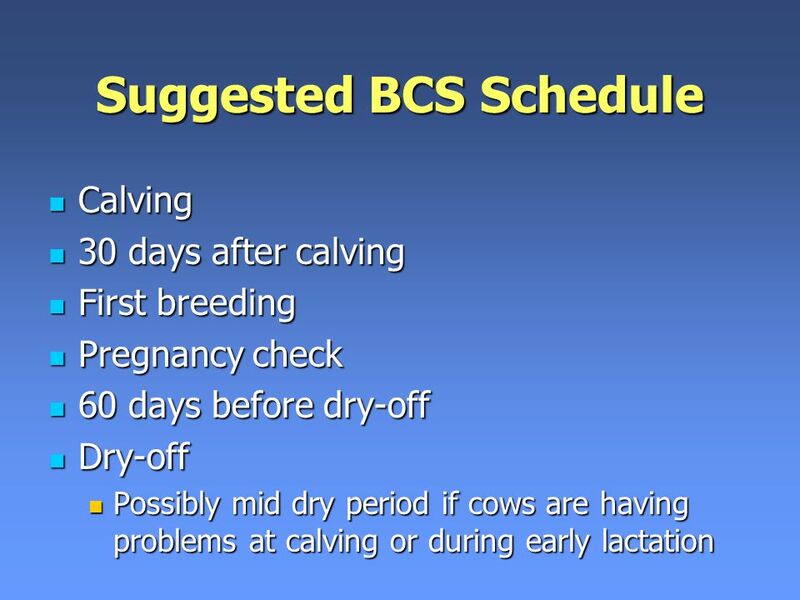 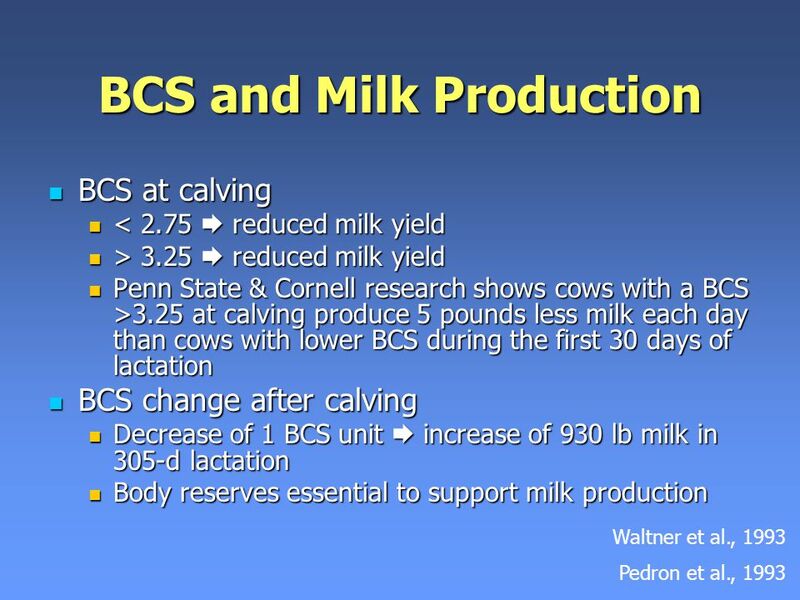  Planning Calving  Calving  After Calving Management  Management of cow in early, mid and late lactation. 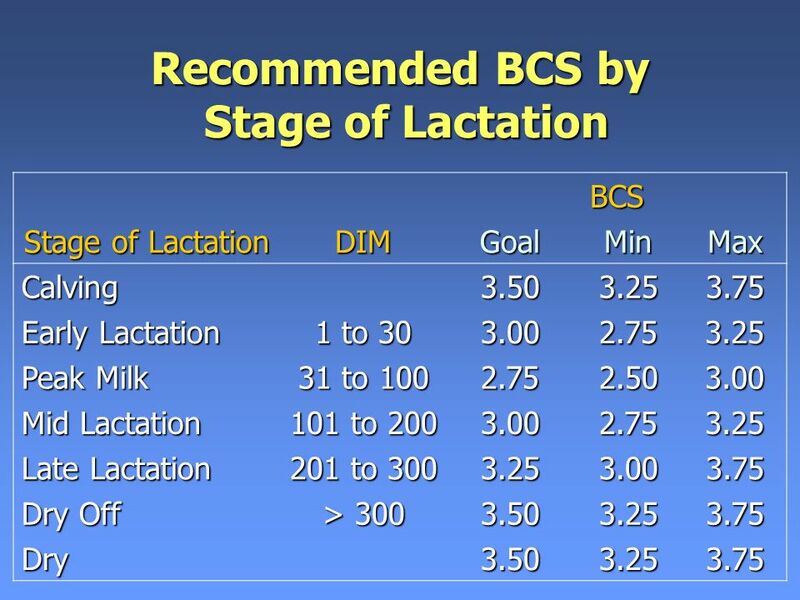 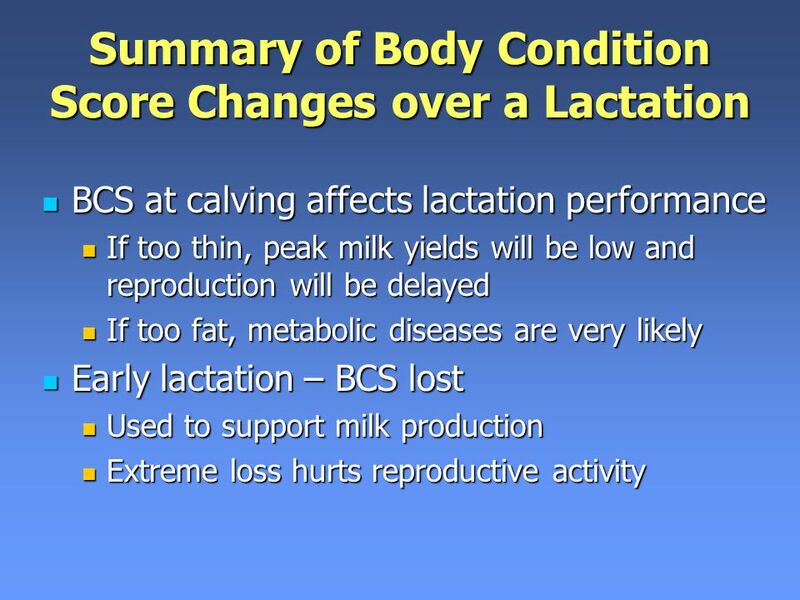 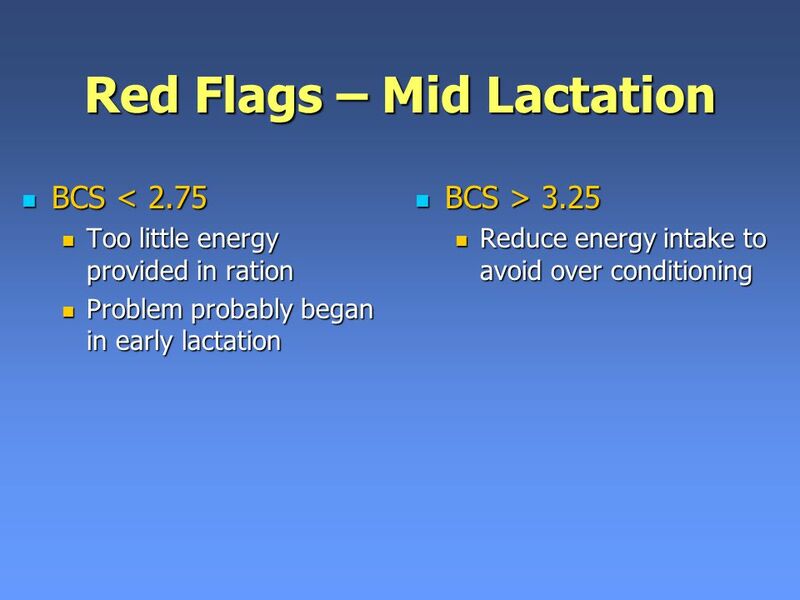  Lactation Curve. 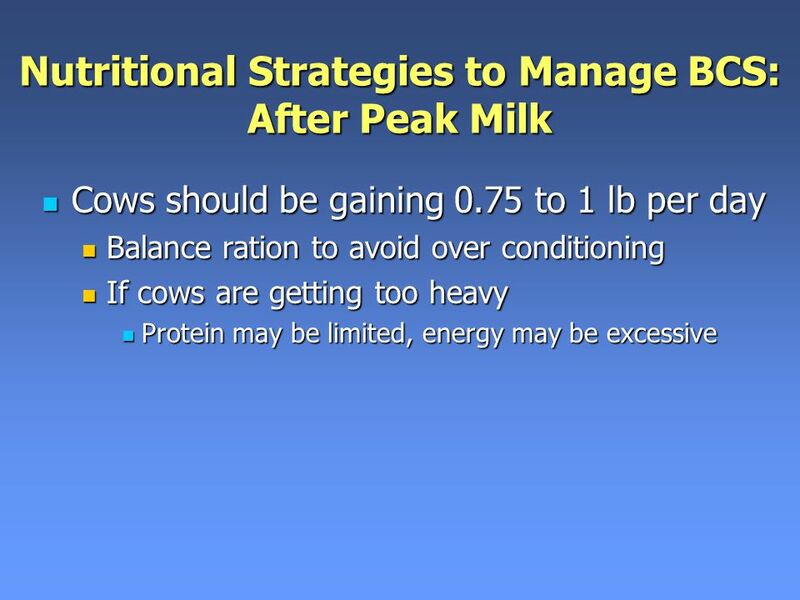 The Basics Livestock managers work hard to balance the nutritional needs of livestock and the cost of feed. 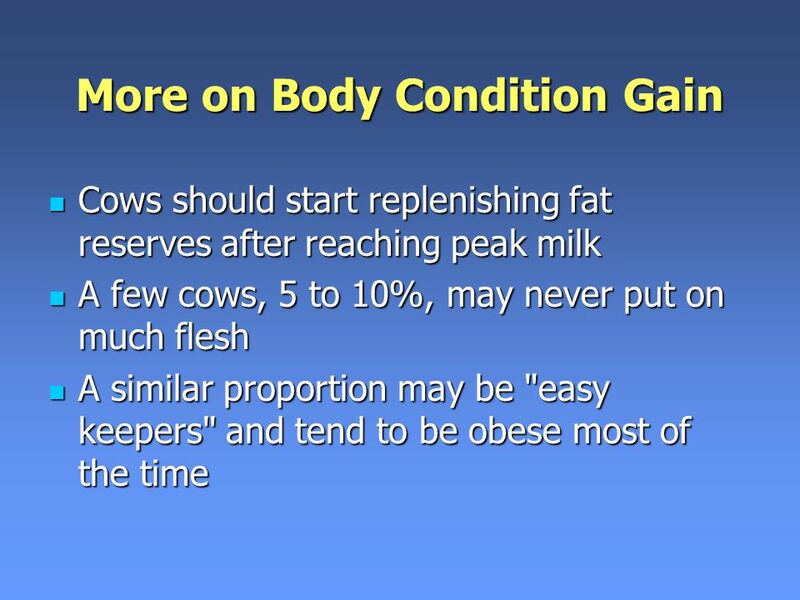 Improper feeding can keep an animal from gaining. 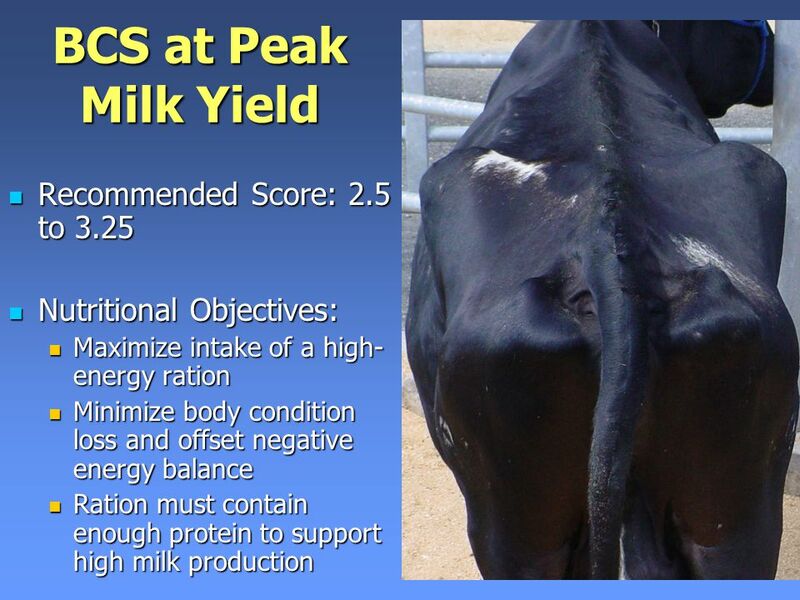 Classify animal feeds. 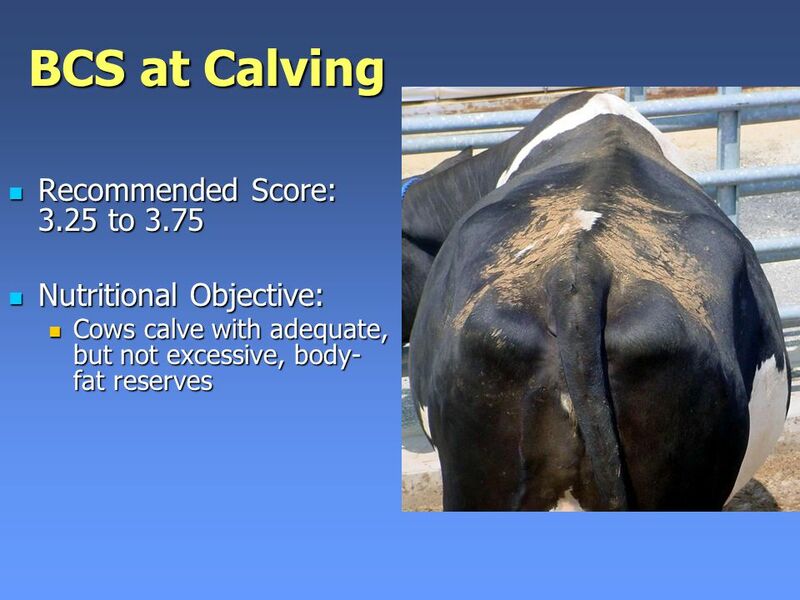 Objective 7.01.